Vancouver Island was populated after the last Ice Age, with records of human habitation dating back at least 8,000 years. Pacific Coast portions of it may have escaped the Ice Age. A tribal village society evolved with an economy based on fishing, collecting and hunting. The ability to harvest the bounty of the land and sea - especially the latter- allowed them to develop a complex and unique culture and art. 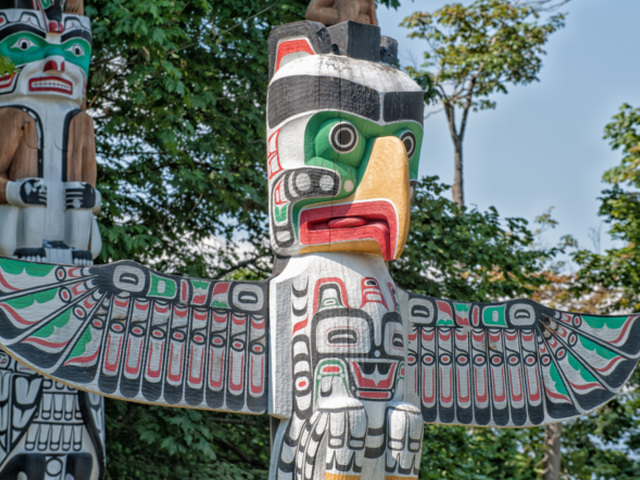 There are indications that there were contacts between the Orient, the South Pacific and Vancouver Island. There is considerable archaeological evidence, such as coins and other artefacts, to support the thesis that various civilizations did meet at various times. Archaeologists interpret the petroglyphs (or rock carvings) in various locations as being in origin from ancient people who were not the immediate ancestors of the current First Nations. 1592 Pilot Juan de Fuca for the Spanish on the Pacific Coast reported a strait leading to a large inland sea. 1774 Captain Juan Perez discovered Nootka Sound. 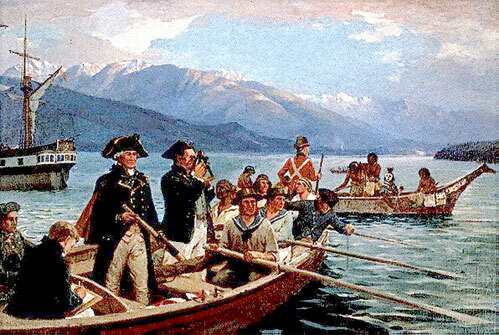 1778 Captain James Cook visited Nootka Sound. The trade in sea otter fur began. 1790 Nootka Sound Convention by which Spain gave up colonial rights to Vancouver Island and England to territory south of San Francisco. 1791 Captain Narvaez created charts of three large inlets on the west coast of Vancouver Island and explored and mapped the Salish Sea. 1792 – 94 Captain George Vancouver’s 3-year circumnavigation and hydrographic survey of Vancouver Island. 1794 Vancouver Island named “Quadra’s and Vancouver’s Island” after Spanish Captain Juan Francisco de la Bodega y Quadra and Captain George Vancouver, later to become “Vancouver’s Island” and finally “Vancouver Island”. 1843 James Douglas of the Hudson’s Bay Company (HBC) at Fort Vancouver on the Columbia River established Fort Victoria on Vancouver Island. 1846 The Treaty of Washington (The Oregon Boundary Treaty) established the 49th parallel as the boundary between British and American territory to avoid war between the two countries. 1849 Vancouver Island and the Gulf Islands in the Strait of Georgia became a British crown colony with a Royal Navy (RN) base at Esquimalt harbour. The new colony lasted 17 years from 1849 to 1866. 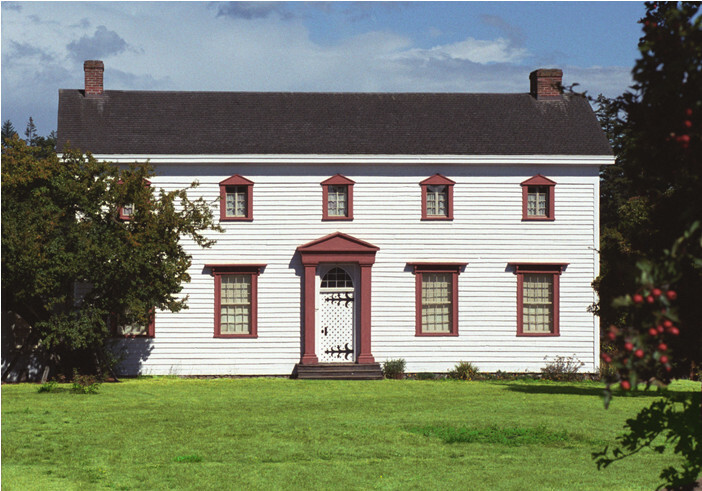 HBC headquarters for the Pacific Northwest moved from Fort Vancouver to Fort Victoria. The new Colony of Vancouver Island to be administered by the HBC. The entire British-held mainland north of the US boundary was known as New Caledonia. 1850-51 Richard Blanchard appointed the first Governor of the Colony of Vancouver Island. 1851-64 HBC Factor James Douglas appointed second Governor of the Colony of Vancouver Island from 1851 to 1864. He also served as Governor of the sister colony of British Columbia from 1858 to 1864. 1851 Fort Nanaimo established to protect HBC coal interests. 1856 First Legislative Assembly of the Colony of Vancouver Island. 1858 The Fraser Canyon gold rush at Yale, followed by the Caribou in 1862. The Colony of British Columbia established with the name “New Caledonia” dropped at the request of the young Queen Victoria. It lasted 8 years from 1858 to 1866. 1859 The “Pig War” led to the San Juan Island being awarded by arbitration to the United States and agreement reached on the “main channel” between the Southern Gulf Islands of the Colony of Vancouver Island and the San Juan Islands of the Washington Territory. 1864-66 Arthur Kennedy appointed Governor of the Colony of Vancouver Island. He quarrelled incessantly with the Victoria Legislative Assembly and the Victoria business community. 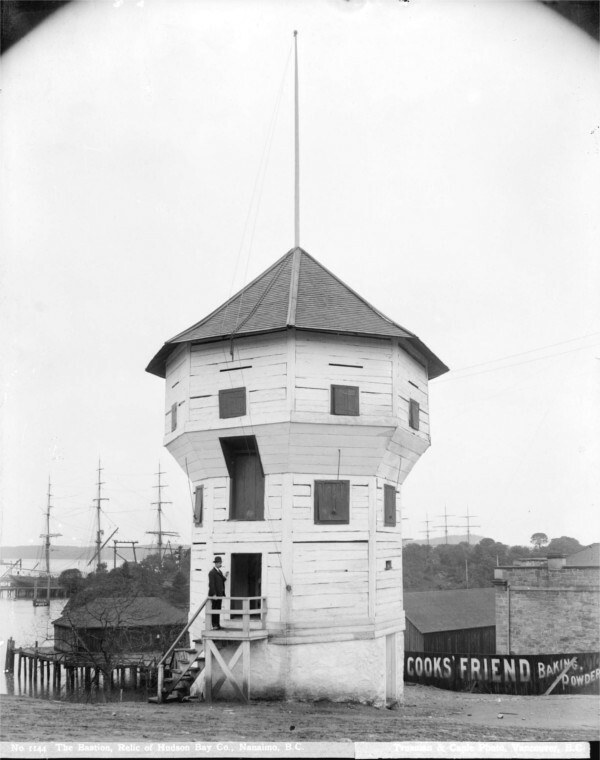 1864-66 Frederick Seymour appointed Governor of the Colony of British Columbia with its capital located at New Westminster. 1865-66 The “Annexation Debate” during which the Victoria merchants petitioned the US Congress twice to be annexed to the United States. 1866 The forced merger of the two colonies to form “The United Colonies of Vancouver Island and British Columbia”. 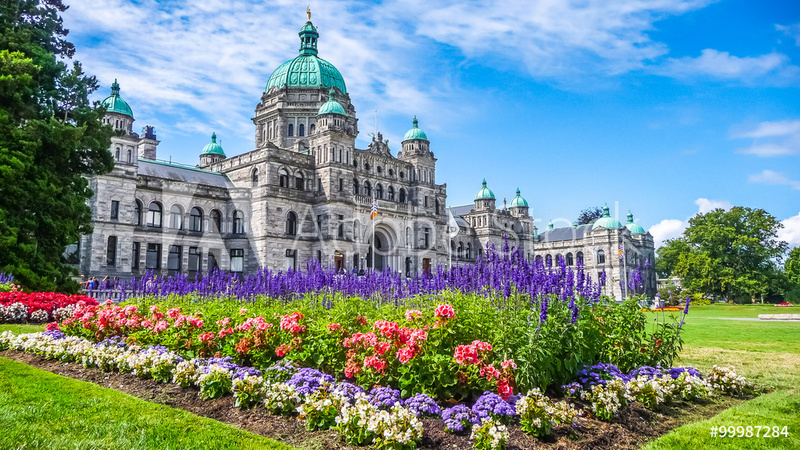 The new colony became known as British Columbia, with Victoria as its capital. 1866-69 Frederick Seymour became Governor of British Columbia. He was indecisive about BC joining the Canadian Confederation. 1869-71 Antony Musgrave became Governor of British Columbia. He was sympathetic to BC joining the Canadian Confederation. 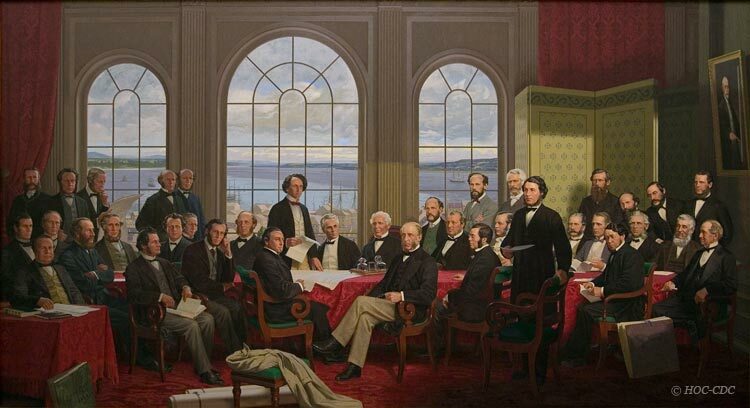 1870 The 3-man Confederation Committee visits Ottawa to negotiate the BC Terms of Confederation. 1871 British Columbia joins the Canadian Confederation. 1872-73 The original promised railway route surveyed connecting the BC Interior to Vancouver Island via Bute Inlet, Stuart, Somora and Quadra Islands, Seymour Narrows and southward to Esquimalt Harbour. 1873-78 Election of Liberal Prime Minister Alexander Mackenzie who was not keen on railways. A major depression contributed to his cautious tendencies. 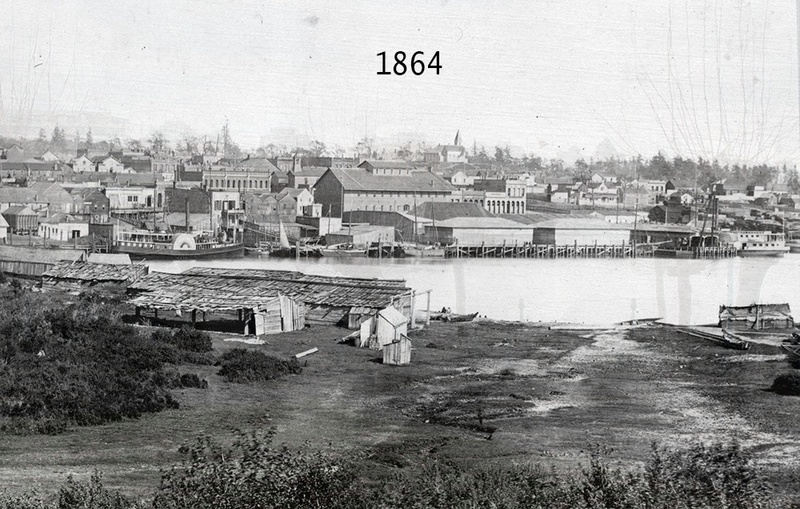 1873 Esquimalt named the terminus by Order-in-Council of the Canadian Government. There was a sod-turning ceremony held at Esquimalt and a short section of line was cleared. After this work ceased during the rest of the 1870s, the Islanders and British Columbians in general became indignant over the continuous delay. Railway ties delivered to Esquimalt from England to begin the promised western portion of the proposed transcontinental railway. These ties were later shipped to Granville (a village on the Mainland) for construction of the Canadian Pacific Railway (CPR). 1878 The Legislative Assembly of British Columbia voted to leave the Canadian Confederation over frustration about lack of progress on the railway promise. 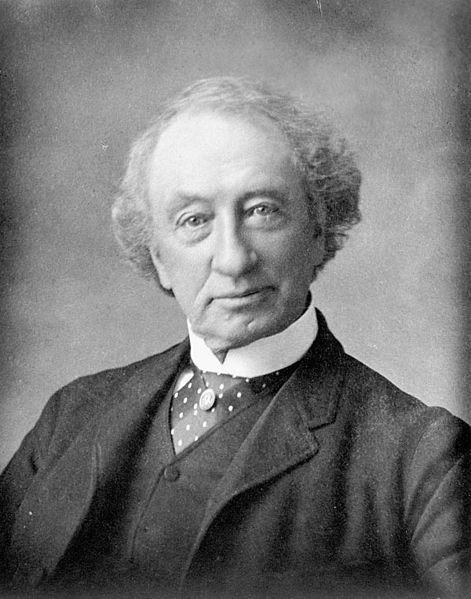 Prime Minister Sir John A. Macdonald, re-elected MP for Victoria in a by-election, introduced his National Policy to encourage economic development through higher tariffs, immigration and a transcontinental railway. The final railway route was still uncertain. 1879 Adoption by Conservative Government of Canada Order-in-Council of the Burrard Inlet route and commencement of construction caused the dissatisfaction to disappear from the BC Mainland representatives, but not on Vancouver Island. 1881-85 Completion of the Canadian Pacific Railway via the Fraser River Canyon to Port Moody as its terminus. Later extended to the City of Vancouver. 1885 Donald A. Smith, a Senior Director of the CPR, drives the ceremonial Last Spike at Craigellachie, in Eagle Pass (about 28 miles west of Revelstoke). 1883 Incorporation of the Esquimalt and Nanaimo (E&N) Railway. 1884-86 Construction of the E&N Railway by a syndicate lead by coal baron Robert Dunsmuir. 1886 Prime Minister Sir John A. Macdonald, on his only visit to BC, drove a golden spike with a silver hammer at Mile 25 (Cliffside near Shawinigan Lake). 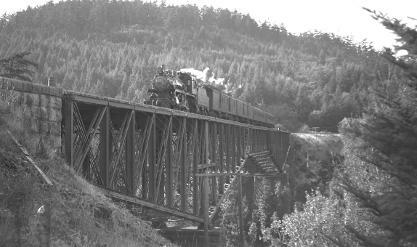 It was the partial fulfillment of a promise by Macdonald that Esquimalt would be the terminus of the transcontinental railway. 1886 The E&N Railway began passenger service operations. 2016 150th anniversary of the Union of the two colonies. 2021 150th anniversary of BC joining the Canadian Confederation.